Welcome to the big time. From here on out you will be playing on regulation size fields. No more short fences or short bases. Every distance on the field will be the same as major league fields. So be sure and use full size fields when practicing baseball drills for 15 year olds and up. Lots of new things happen once the players turn 15. Most players will be freshmen in high school and in the spring will play their first school ball games. Many, if not all of your players will only play baseball in high school. And most of your players will specialize in one position. So you may have lots of players who are PO, pitchers only. Now the bad news, as the coach of high school age players your responsibility has grown. The kids on your team really need a winter workout program. Do you know how long high school baseball tryouts last? Where I live it is three to four days. This means kids had better show up in shape and ready to play. And the preseason camp in high school baseball is very short; maybe two weeks. That leaves very little time for individual training or teaching. the high school baseball season. And I’m not talking about individual batting lessons or trips to the batting cages. I’m talking about a running program, a workout program, and then some hitting and pitching workouts. This article, Baseball Batting Training, talks about training drills batters should be doing. Near the middle of the article is a few paragraphs about finding a good, affordable personal trainer for the whole team. If you want to really help your players out give this article a read. 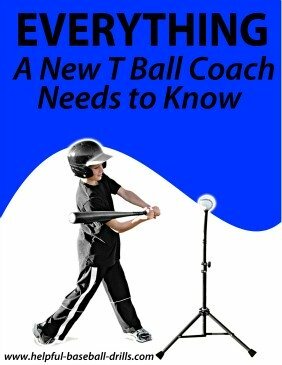 For pitchers’ training please read Pitching Drills, Tips and Nerves. The workout description starts down about the middle of the article with bullpens. However, you do not want to have your pitchers throw bullpens until the middle of December or early January. Give the pitchers a couple of months rest after the fall ball season. To summarize a good winter workout, here is what should be included. First let the players have a few weeks off after fall ball concludes. As I said above, pitchers should be given a couple of months off from throwing, but not the other workouts. Second, once the break is over, the team should start meeting with a trainer. Workouts should become a big part of baseball drills for 15 year olds and up. On a weekly basis, or twice a week if possible, the players should go through a stretching and agility workout. Included with this should be a lot of work with band resistance training. 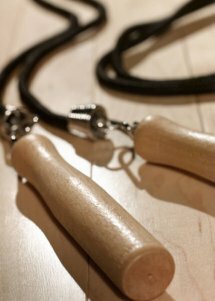 This is a great way in get your muscles in shape without bulking up by lifting weights. You see, baseball drills for 15 year olds and up does not always involve a bat or baseball. Also on a weekly basis the hitters should take some type of batting practice. 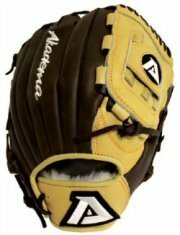 This can be from a pitching machine, someone throwing batting practice, or by soft toss. It is good to keep the memory muscles tuned up in the hitting swing. Workouts have slipped into baseball drills for 15 year olds and up, but batting is still the king of practice. Pitchers should be doing a lot of running since they are not throwing for a couple of months. They might as well start getting use to all the running pitchers do in college. Then after their pitching down time is over, they should start throwing bullpens once a week. These programs should carry your players into their high school baseball tryouts. If it is their first year trying out, find a couple of guest speakers to talk on the subject of high school tryouts. Unless they have an older brother who played high school baseball, your players probably have no idea how school ball operates. A couple of a words of wisdom will help them big time. After school ball is over, your team will probably start playing right away. There may be some time for practices. If you can get some practices in, then work on team drills. Do a lot of situational drills, where you have a runner on first or second and the ball is to such and such a position. Here are a couple of articles on situations a team will likely encounter over the summer. Take a look at Relay Throws and the Cutoff Man and Infield Throwing and Double Plays. Hitters should always be hitting when not playing games. And pitchers should throw a bullpen whenever they go a week without pitching. 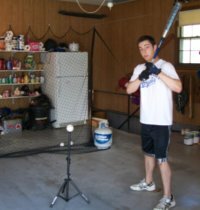 During the busy summer, each player may have to schedule his own personal batting or pitching practice. It is time for them to show some responsibility for their own preparations. I know that a winter workout program will take a lot of time and energy. But it is something that will set you and your team a part from most of the other teams. Baseball drills for 15 year olds and up can make a big difference in making the high school baseball team or not. When all of your players make the high school team, you can feel proud that you played a big hand in their success.